If you were to stop and think of a turning point in your life, can you remember exactly where you were, what you were doing and how that experience impacted you? I had such an experience in November of 2010 as I watched the first Black Girls Rock Award show on BET. I had just put my almost two year old son to bed. I cut on the tv and tuned into the show as Raven Symone introduced award recipient Keke Palmer. I love me some Keke Palmer, especially her role in “Akeelah and the Bee.” Before Keke accepted her award, the audience watched a video of her explaining the secret behind her success. My jaw dropped. Tears streamed down my cheeks as my eyes glared at the tv. How dare she say she’s special? Who does she think she is? Isn’t that conceit? These were all thoughts that ran through my mind. A part of me was angry. Another part of me was sad. I really couldn’t explain why I was angry at the time, but I knew why I was sad. Deep down, I wanted to know and feel like I was special, too. Keke declared she was special with such confidence. I wanted that confidence, too. I longed to feel this way. Instead of tossing the idea to the side, I wrestled with it and decided to ponder it, give it a chance. In the beginning, it wasn’t easy to tell myself that I was special and truly believe it. You see, I had so much baggage from my past that told me otherwise. It took almost 2 years for it to sink in that I was special and that I had so much more to offer the world. What truly helped me to believe that I was special was when I started treating myself as if I was special. When something is special, you handle it with care, you protect it, you admire it, and you respect it. I not only told myself I was special, I started living like I was special, too. I started eating healthy, exercising, praying, monitoring my thoughts and being mindful of the company I kept, after all I was special. This new way of living boosted my self-esteem. Do you recall when I said I didn’t know why I was angry with Keke Palmer for declaring that she was special? Well now I know why I felt that way. My mental conditioning (i.e. my past baggage) was resisting this new thought that told me I was special. The interesting thing is I was resisting and admiring this thought at the same time. You see, when you admire someone and wish you could be like them, you are merely observing the thoughts you rejected about yourself. During the time I saw Keke on Black Girls Rock in 2010, she had ACCEPTED the fact that she was special. At the time I REJECTED it. That it why it was so hard for me to grasp this concept initially. Today, I know I AM SPECIAL and guess what… you are, too! Your life has meaning and purpose. YOU HAVE TO ACCEPT THAT. Now that I have ACCEPTED the fact that I AM SPECIAL, I encourage teenage girls by letting them know that they are special, too. 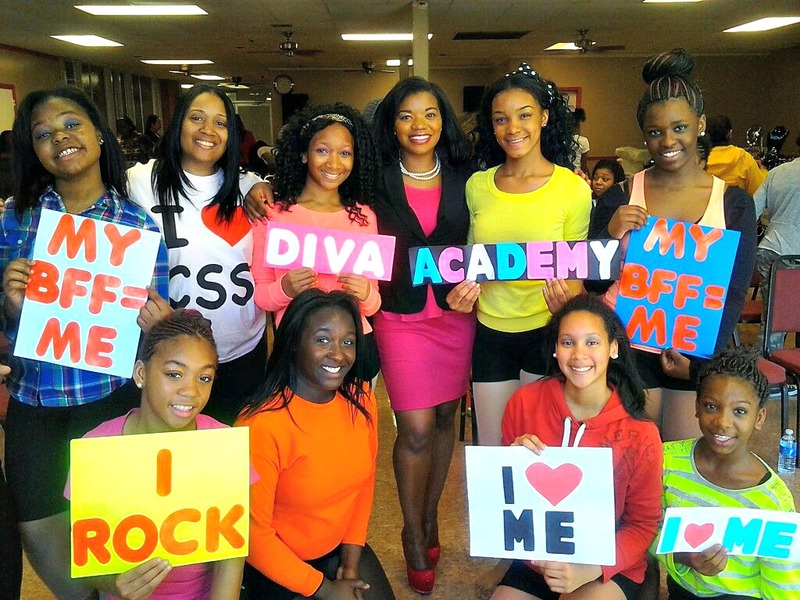 I created a teen girl empowerment program called D.I.V.A. Academy. I work with schools and organizations to empower their young ladies to create a positive self image and build a healthier self-esteem. As a result, these young ladies are positively changing their lives and becoming better students. You can read more about D.I.V.A. Academy here. Keke Palmer has no idea how profoundly her words impacted my life. She was bold, brave and caring enough to declare who she was and stand in that beauty. She wasn’t afraid to let her light shine. That night in November of 2010, her light shined upon me and lit a fire within me. Since then. my light has shone upon hundreds of young women in the city of Philadelphia. They now know that they, too are special and have a light. I could never thank Keke enough for helping me to change my life. The next time you encounter a successful person who you would like to be like, note what you admire about them. Ask yourself what thoughts have they accepted about themselves that you may have rejected or written off? You will find that most people are no different than you. It’s just that they believed something and acted upon it while you did not. Find out what it is. This will help you tap into a missing piece in the puzzle. Below, you can view the video that helped to change the course of my life. Enjoy!! !